This luxurious Lonsdale has a Java wrapper that cloaks aged binder and filler tobaccos from the Dominican Republic and Brazil. The result is a feisty smoke with a deep nutty component and captivating aroma. Medium-bodied cigar fans have been lining their humidors with the H. Upmann Special Seleccion Polo for decades. Packaged in a pack of 5. Good quality cigar; nice wrapper, construction and burn. The strength is a solid medium, the Don Diego Privada is closer to mild. This Upmann is a very well constructed smoke with satisfying flavor. While I did enjoy the cigar, it tends to get a bit harsh toward the end. H. Upmann 6.62×42 special seleccion. Purchased a 5-pack. Was very impressed. Great smoke, smooth, tightly packed, great taste. I had to have more. I subsequently bought another ten packs of five. I would have purchased a box, but I saved about 40 bucks buying the 5- packs. It goes directly into my humidor anyway, so I did not need the box. Now, it is my number one "go to" cigar. 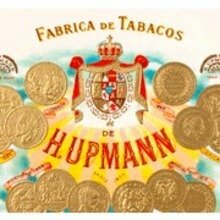 A great cigar at a great price! Just ordered more. Very good flavor. I would definitely buy these again. I bought a five pack. After the first smoke I was hooked. I bought 10 more 5 packs. 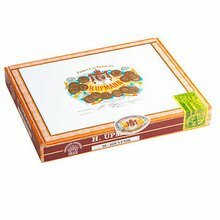 H upmann now is my number one go to smoke in my humidor. I plan to buy more as long as they are in stock. Excellent smoke. A smoke you will never forget.